Meet the man behind the movement! 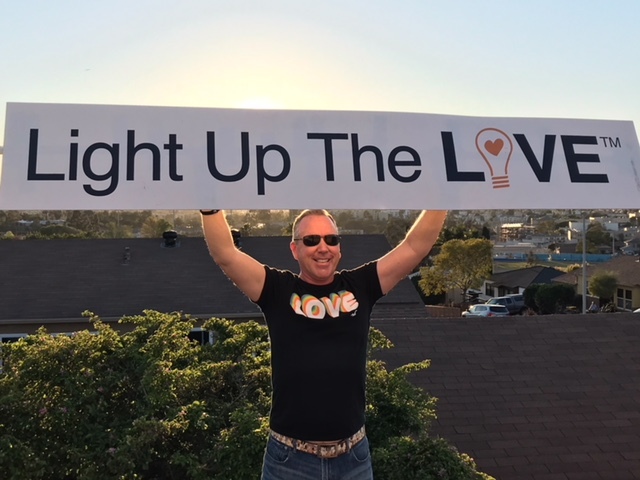 Our founder, Jerry Meunier, took the one super power we all possess – LOVE – and turned it into inspired action, reminding us all there is always good in the world and there is always a way to Light Up The LOVE. Thank you SD Voyager Magazine for featuring LUTL and Heartfelt Helpings. We appreciate the work you do to highlight all Light Up The LOVE Ambassadors in your “Inspiring Stories” section. This entry was posted in In The News and tagged #LUTL, heartfelt helpings, light up the love, san diego, sd voyager magazine. Bookmark the permalink.